HudsonsMalamutes.com / AlaskanMalamute.us - AKC/OFA Gentle Giant Alaskan Malamutes bred for temperament, quality and size - FAQ - Frequently Asked Questions - What is the difference between a Siberian Husky and Alaskan Malamute? 33. What is the difference between a Siberian Husky and Alaskan Malamute? Siberian Huskies are very high energy very high active dogs. They are GO GO GO. They have no loyalty to one person they love everyone and everything. Just think of what a dog was made for and that is what you get many times in different breeds. They love other animals and people. They do not do well with Chicken, Geese, Ducks, Goats, Etc. They are not farm animals. They will chase and play with anything that is smaller than them. As for children they love to play. Small children do very well to keep up with the huskies. If a burglar came to your home the husky would say here is the money, here is the jewels and hey buddy I am going with you. If you were in a fight with that burglar the husky would want to "Play" also. Huskies are definitely diggers so if you love your flower garden this dog might not be right for you. Their average weight is 35-65 lbs. With males being about 20 lbs more than females on average. Alaskan Malamutes are a lot more laid back. They used to baby-sit the Mahlamute children in the tribes. They can be protective but not all cases. They are not a guard dog but are a dog that takes care of problems if the problem finds them. As I call them "a lie and wait dog". My personal opinion is the females are more protective and want to know more of what is going on. Males I call the Mellow Mush Balls. Malamutes on average are a slower paced dog then the huskies. Malamutes are big Chewers. 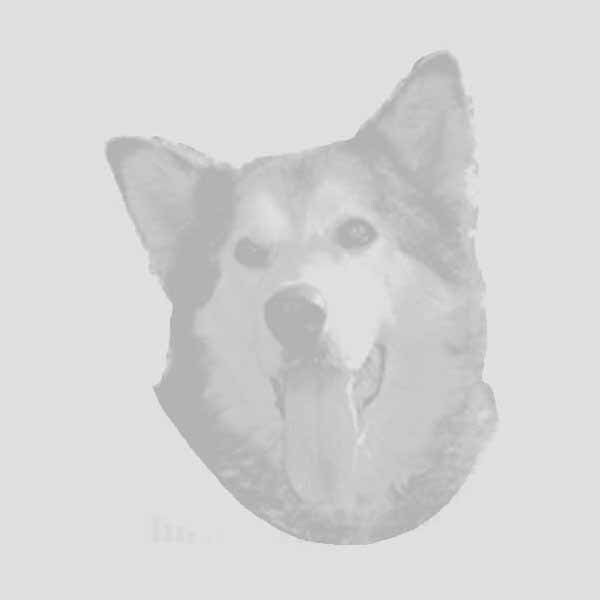 But if given lots of chew toys and taught at a young age what is appropriate that is all a malamute needs. They can be stubborn in some opinions. I call it a great thinker. Malamutes are on average 75-150 lbs. With females being about the same size at times. So size is not gender specific. On average my finding are females max in size of 130-140 lbs. There can be a larger heaver boned dog but "size"(shoulder height) is about the same on average just bone structure to make the dog heavy weighted is different. As for them both they are both a hard headed dog for first time owners. They are independent thinking dogs and are made to make their own decisions on trails and such. So some people view that as stubborn. I view it as the most intelligent dog out there. They can work out a puzzle or problem. It's just people that don't understand them and try to train them the same as they would a retriever or Shepherd - these are the ones that get frustrated with these breeds. They are very different and take different measures of teaching. Time and patience with both breeds are needed along with Puppy Classes, Puppy Classes, Puppy Classes. As I would recommend to anyone with ANY breed of dog. If you are not prepared to put a whole year of hard work into your pup you might want to wait for a better time. These breeds are both a great dog.